The 2019 Volta a Catalunya is played out from Monday 25 March to Sunday the 31st. With summit finishes in Vallter 2000 and La Molina the third and fourth day of action are probably going to be decisive in terms of the GC. A number of hilly races and opportunities for sprinters round out the route. The Volta a Catalunya does not include a time trial, which is nothing new. The 1st stage of the Volta a Catalunya is an out-and-back race in Calella since 2012. Mostly running on hilly terrain, still the race often boils down to a sprint finish. The race takes in five intermediate climbs, three of the category 1. The 2nd stage travels from Mataró to Sant Feliu de Guíxols. Three moderate climbs underway, so a sprint finish is a likely scenario. More high mountains in the 4th stage, as the Volta a Catalunya takes in its traditional summit finish in La Molina. The final haul up is 9 kilometres at 6% and when the riders move through La Molina the route continues with a short drop and a 2 kilometres climb to the line. Stage 5 starts at an elevation of 1,120 metres in the Pyrenees and includes a huge climb straight after the start. A long descent then runs to an undulating second part of the race. The finish is in Cugat del Vallès, a suburb of Barcelona. The 6th stage goes from Valls to another likely sprint finish in Vila-seca. Currently, it's big hard to call the favourites, as there are rather a lot of gaps on the startlist. so, after the easy start last year, they are going back to the usual kind of opening stage. I haven't checked every Spanish rider on the list, but seems like with Jordi Simon not around anymore Marc Soler is the only one competing for the "Best Catalan" competition this year?! Well, it's been quite a wait for the results of stage 1 to get sorted. All sorts of confusion, not helped by some of the unusual suspects who got involved in the sprint for the bottom rung of the podium. Today turned out to be one of those "special" Thomas de Gendt days when everybody knows that it doesn't matter how hard he's chased, he just isn't going to be caught. So much so, that Max Schachmann stole a march on the beaten bunch, to solo off the front and take second. When Albasini won the opening stage from a breakaway a couple of years ago, he just went on and took stage 2 as well (and the overall, but only due to bad weather cancellations). Can de Gendt do the same? Stage two presented the first opportunity for the puncheurs. Early in the day a three-man breakaway pulled clear of the peloton, made up of Josef Černy (CCC Team), Jonas Gwisly (Astana) and Marco Minnaard (Wanty-Groupe Gobert). The gap to the breakaway extended to seven minutes in the opening half of the stage, but the peloton were reluctant for a repeat of the first stage and wound the escapees back in. The final climb Alt de Romanyà, 5.8km-long at 4.5 per cent, came 30km from the finish with a long descent followed by a few minor hills. Chris Froome and two Bora-Hansgrohe riders were involved in a crash, with Froome forced to wait for a bike change. Astana drove the pace at the front. There were a number of attacks on the final circuit and penultimate climb, with Max Schachmann prominent. 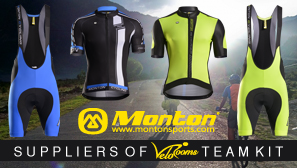 Mitchelton-Scott opened up their lead-out first, but Matthews sat second wheel on the long uphill drag to the line, finally coming out of cover 100 metres from the line and sprinting clear of Alejandro Valverde to take the win. Off the top of my head, I think this was Odd Christian Eiking´s best result in a WT race. Adam Yates triumphed in a tense summit finish on stage three of the Volta a Catalunya. An early breakaway of 11 riders set the tone, building up at five-minute advantage in the opening 30km. The move consisted of Dries Devenyns (Deceuninck – Quick-Step), Francois Bidard (Ag2r La Mondiale), Óscar Cabedo (Burgos-BH), Sergio Samitier (Euskadi-Murias), Bart De Clercq (Wanty-Groupe Gobert), Maurits Lammertink, Pieter Weening (Roompot-Charles), Lennard Kämna (Sunweb), Anthony Delaplace (Arkéa-Samsic), Bert-Jan Lindeman (Jumbo-Visma) and Álvaro Cuadros (Caja Rural-Seguros RGA), all working well together but the peloton held them to five minutes. The peloton hit the final climb with a 90-second gap to the remains of the escape, which was whittled down until only Weening was able to press on alone, with Sky now driving the rapidly dwindling bunch. When last man, Ivan Sosa, was done, opened up his attacked at 5.3km, with his compatriot Quintana the only man able to follow. Adam Yates also upped the pace and slowly made it across to the uncooperative Colombian duo, reaching them at the 4km mark. Miguel Ángel López (Astana) and Martin were able to rejoin the front of the race, as Quintana continue to sit on, refusing to come through. Mystifying, as the Colombian would be very long odds to take this sprint and so it proved. Martin was the first to open with 200 metres to the line, but everyone was able to follow and Yates passed him in the final turn to take the stage victory. De Gendt rode brilliantly to cross the line 2-20 down on the stage winner, immediately behind Alejandro Valverde. any idea what to expect for la Molina tomorrow? Last year's stage was great, but with most of the big teams still having one guy in striking distance for the overall (probably unwilling to risk that position), I'd think the usual "sprint" looks more likely?! The commentaries have been making some statements about Sky's top racers looking more off the pace at this time of year than usual this year. The guy not racing here (Thomas) is the one that is mentioned most frequently in this context, they openly question if he'll get ready in time for Tour de France this year. They comment less on the fact that Froome doesn't look very good either. Whatever they are doing, it is quite different from approx five years ago when they started winning Paris-Nice and then flashed every single stage race from there to the Tour de France win. 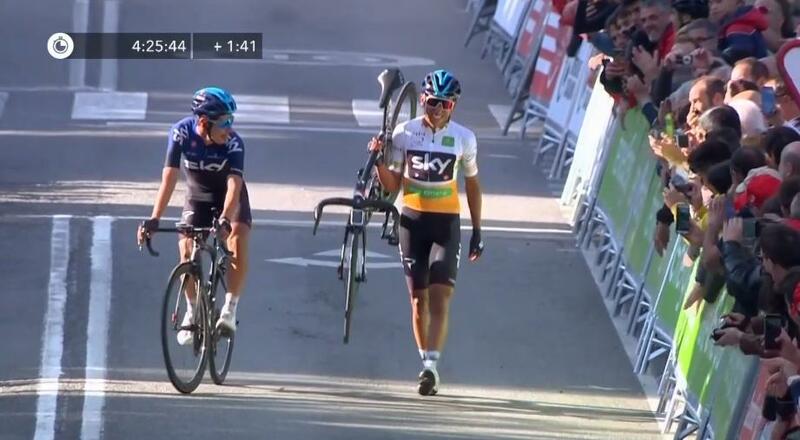 In fact, the only Sky captain that looks like a Sky captain from 5 years ago at this point is Bernal - he is in shape, and he has won the Paris-Nice. However, today he tried to unleash a physiological superiority that just wasn't there. Not sure I get what they were up to with spending all the domestiques before the 5 km mark, if it wasn't exactly the missing Froome that should have done another km or two. I am somehow happy with the performance because it wasn't anything that will make the GC race in the Giro as uninteresting as the TDF has been for the last few years. Adding to them sky-train attack that didn't work as planned today, Bernal isn't as experienced as Froome and Thomas are. In a 3-week race he can still end up like Simon Yates did last year, and Simon Yates may not repeat his mistakes. I really doubt Bernal can do anything like Froome did last year. He needs more age and treachery for that. As for the TDF, by now the results looks like less of a given than in any of the preceding 7 years (no-one had Nibali as a favorite, yet he won by the largest margin - so the exception was exceptional) - and maybe that's about time, but who's really going to challenge them - Nibali one more time? Adam Yates? Quintana? Bardet? Seems like many could-have-been candidates are targeting the Giro instead. An enormous amount of people frustrated by Quintana tactics yesterday, apparently (follow through the link to the pages long twitter coversation). It seems like noen of them watched stages when Quintana attacked early on the final climb, like Blockhaus in the giro 2 years ago and Arosa in the giro last year. He is a patient guy though. Edit: something wrong with the link i Get from Twitter today. On iPad. Can someone find the right link? I guess it's because of the "?s=21" at the end. Just delete that part, and it should be fine. And I really don't know what to think about it, or if he did not want to help Bernal, or just wasn't able to. 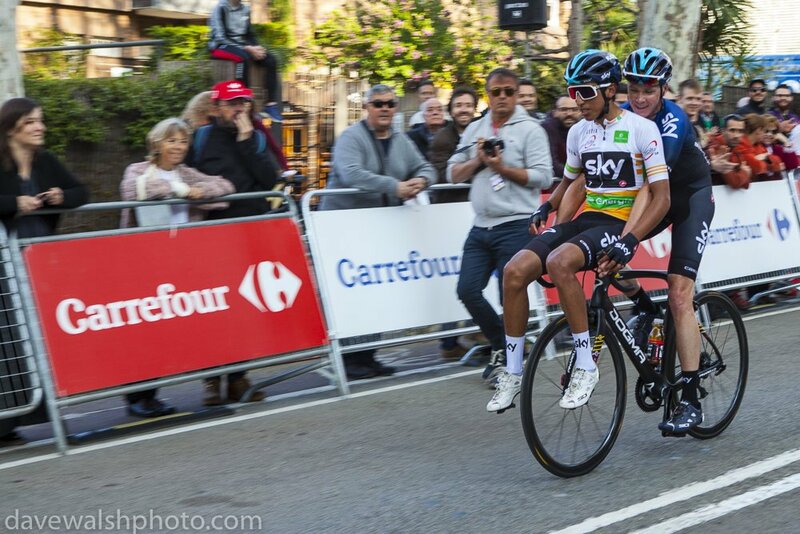 Quintana has a very smooth riding style, so, as someone on CN mentioned, you can't really see how much he suffers. People would probably talk differently about Dan Martin hanging on Bernal's wheel. On the other hand, Ryo always used to talk about the big rivalries between the different parts of Colombia, and riders who under no circumstances would work with others, just because they don't want them to win. I don't know if this is the case for Bernal and Quintana though. I don't think Bernal is in anything other than great shape, it's just that Quintana, as we have seen since Colombia, is also in super shape. Were he not, he too would have been dropped by Bernal's initial attack and that, as they say would probably have been that. Dan Lloyd in that tweet made the exact same observation as I did, elsewhere. Old Stone Face sure is an enigma, when it comes to picking his moments. I'm sure that Quintana would've attacked if he'd not been on the limit. A nice ride from young Sooooooooooperman Looooooopez! No one could stay with him. I think I will rename him to Highwayman, because he seems to need at least a two-lane ski station access road to ride comfortably up a mountain. Today's stage reminded me very much about the Sierra Nevada stage in the Giro two years ago (to Hoya de la Mora). It is like something's holding him back on a snaking narrow singlelane like up to Wallter yesterday! I guess the real cause can be the combination of his preference for grinding really heavy gears for his body size and the steepness of the road which works against him on really steep stuff (and smaller roads are often steeper at least in some sections compared to the well-engineered ski station access roads that seems to be his favorite). Also a very good ride by Guillaume Martin today, Kruijswijk also seems on his way to do what he does best now, quietly slipping away from the big chase group today. Is he heading for the Giro this year? Soler isn't as bad as he seemed to be this year, but then what about the movistar tactics today? Couldn't he have contributed more for Quintana? edit: having Lopez in the lead could spice up the race quite nicely by the way, as he is probably the most vulnerable guy (from the top 4) in the Motjuic stage. I think you’re right about López. He seems to ride better on a lower gradient, he can almost TT on it, when it’s a bit steeper he’s nowhere near as punchy. I was thinking the same way, earlier. Reckon the final stage could be a doozy. One more thought, Egan Bernal seems to fade a little every day from the start of Paris-Nice. This could be part of a plan if it involves sufficient restitution, but he is younger than the previous generation of Sky captains and even if he is damned good he can't necessarily take the same volume of hard training + races as they did much higher up in their 20's. The loss of the race-winning punch is a classical sign of too much hard training and racing. There are quite a few examples of huge talents never delivering on promises because the long-term development plan is sacrificed on the altar of possible short-term successes (which again is driven by short contract lengths). Lois Meintjes was one of his generations most promising riders and everything looked great for him in his first years in the World Tour, but compare his trajectory with that of Mohoric who was the one guy to beat Meintjes in the U23 worlds....then played second if not third fiddle for a few years ... but look, now he can seriously compete at any level while Meintjes is a ghost at back end of the peloton. With the 5-year contract, I can't see Sky has any excuses for overtraining/overracing the still young Bernal, but he's beginning to show some classical symptoms already early in the season. Edvald Boasson Hagen was also a really large talent with Sky, and he lost all his sting in a couple of years with them (even if, admittedly, his role was different). Bernal could go the same way. With the mountains done and dusted, this stage appeared to be sideshow to the more prestigious E3 in Belgium. Nevertheless, it still delivered an action packed finale. Michael Matthews (Sunweb) brought the peloton home, 13 seconds behind the leader, with Ryan Gibbons (Dimension Data) third and Astana’s Miguel Ángel López maintaining his lead in the general classification. Michael Matthews (Sunweb) defeated Phil Bauhaus (Bahrain-Merida) in a photo finish to win stage six of the Volta a Catalunya. Miguel Ángel López (Astana) maintained his overall lead, and even threatened to extend his advantage during an unexpected late flurry of action among some of the GC contenders. Although generally a calm day, there were a few crashes of note. One 15km from the line involved Simon Yates but thankfully the Mitchelton-Scott rider was able to remount and bridge back within 5km. The Volta a Catalunya concludes tomorrow with the usual circuit around Barcelona, which features enough climbing to potentially provoke changes in the GC. Especially as the weather forecast is for rain on those slick, city streets. Miguel Ángel López managed to seal overall victory at the 2019 Volta a Catalunya, despite being put under serious pressure by several of his major GC rivals. Nairo Quintana , Egan Bernal and Adam Yates all attempted attacks at some point during the stage, forcing López to have to dig deep in order to defend his jersey, with Yates, at one point, virtual leader on the road. Meanwhile, up ahead Davide Formolo sealed a spectacular stage victory. Having been part of the day’s original ten-man break, the Italian went solo almost 40km from the finish, and despite the ferocious pace being set behind by the GC contenders, managed to hold on, making it two breakaway wins in three days for Bora-Hansgrohe. A big crash occurred in the peloton during the second lap, with some major casualties. Romain Bardet had to retire with what appeared to be a broken collarbone, Warren Barguil was seen being carried away without the support of his legs, and Simon Geschke was sent to hospital for x-rays.